Acting on a tip on the whereabouts of Malik Harris, Bay Springs Police Department along with the Jasper County Sheriff’s Department responded to a home on Smith St. in Bay Springs. Authorities made verbal contact with Harris at the residence. Harris refused to surrender to authorities. We reached out to Jones County Sheriff’s Department for support and they were responding with an armored vehicle and additional swat members. 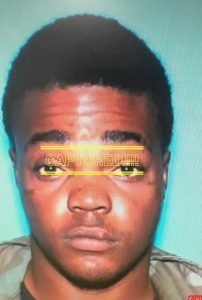 After a 30 to 45 minute standoff, Harris surrendered to authorities without incident, and Jones County was notified their assistance was no longer needed. Harris was transported to the Jasper County Jail and is being charged with Aggravated Assault. Harris bond will be set by Judge Marvin Jones at a later time.